Here’s your chance to win a Blu-ray for First Man! 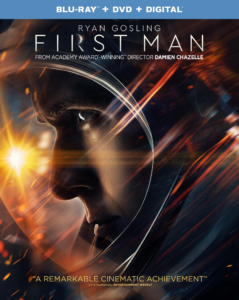 The film by Academy Damian Chazelle, and starring Ryan Gosling and Claire Foy, is based on the true story of the first man to step foot on the moon. You have until Wednesday, 16th January at 8pm PT to enter when we’ll randomly select our winner. * This contest is only available to ship in the United States. First Man will be available on 4K Ultra HD, Blu-ray, and DVD on January 22nd, 2019. Followed on FB (Christopher Manning)! Thanks for running these great contests.